Are you looking for an efficient way to heat and cool your home in Bishopville? Ordinary heat pumps are great, but if you’re looking for the ultimate in home comfort and efficiency, it might be time to think about a ductless heat pump! As the name suggests, ductless heat pumps heat and cool your home without the use of ducts. Compact registers mounted on the wall or in the ceiling cool and heat just as effectively as a normal, ducted system, keeping the room comfortable no matter what time of year. If you’re ready to take your home’s heating and cooling to the next level by installing a ductless heat pump, call Peninsula today! 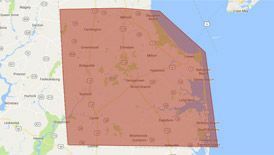 Don’t wait—if you need ductless heat pump services in Bishopville, DE, call Peninsula today at 302-629-3001302-629-3001 or click here! 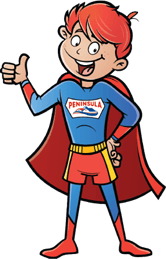 No one cares more for your ductless heat pump than the pros at Peninsula—call us today! Ductless heat pumps save money, and more! With low upfront installation and operating costs, ductless heat pumps are some of the most affordable heating and cooling systems on the market. And in addition to being very cost-effective, ductless heat pumps are extremely easy to install in your home. They do not require any expensive or invasive ductwork; instead, all you need to install a ductless heat pump is a three-inch hole in your wall or ceiling. Ductless heat pumps distribute air much more evenly than conventional heating systems as well, eliminating hot and cool spots and making your home much more comfortable. Ductless heat pumps can be controlled via a remote control, which also functions as a programmable thermostat. Systems offer many different modes of operation, including quiet, high, or timer. If you prefer, you can have wall-mounted controls installed as well. To increase efficiency, ductless heat pumps can be arranged in "zones" that can be individually heated or cooled, preventing costly over-heating that is common with conventional central heating systems. Ductless heat pumps eliminate air leaks that commonly occur in air ducts. Ductless heat pumps can also be combined with existing electric baseboards in bedrooms and bathrooms to provide additional heat when necessary. It’s also very easy to customize the zones—just choose where you want to install the indoor units! To find out more about our ductless heat pump services in Bishopville, DE, contact us today!